PDFSam, short for “PDF Split and Merge,” is a great utility for quick PDF editing. You can combine multiple PDF documents into a single PDF document, split a PDF into multiple files, extract pages from a PDF, reorder the pages in a file, or create a new PDF file that contains pages from multiple files. These operations aren’t normally possible with such easy, free tools. I’ve personally used PDFSam to combine multiple documents scanned How To Build Your Own Smartphone Document Scanner How To Build Your Own Smartphone Document Scanner Have you ever tried to take a photo of a document with your smartphone camera, hoping to convert it using OCR software into a PDF or Word document later on? Perhaps you’ve attempted to take... Read More to PDF into a single file, reorder pages in a scanned PDF, and extract a single important page from a large, unwieldy PDF document. If you want to do some basic PDF splitting, merging, and reordering, PDFSam is the application for you. Admittedly, PDFSam’s interface is a bit clunky and dated, but it works fine once you get the hang of it. Let’s say you want to combine multiple PDFs into one file, attaching each PDF after the other as if you’re virtually stapling them together. You’d click the Merge/Extract plugin in the sidebar. Once in the Merge/Extract pane, click the Add button and add the PDFs you want to merge. You can reorder them in the list so they’re in the order you want them in. Use the Browse button to specify the destination of a new PDF file and click Run. 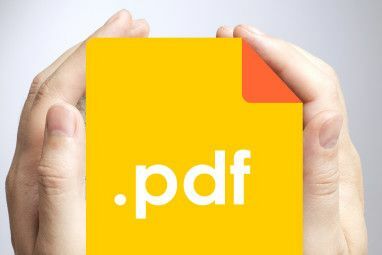 PDFSam will create a new PDF file that contains all the pages from the PDF file you specified. Let’s say you wanted to merge together specific pages from the PDFs, instead. You could scroll to the right in the Merge/Extract plugin and use the Page Selection box, where you want enter a range of pages or a single page. For example, in the screenshot below, we’re taking pages 1 and 2 from the first PDF, page 5 from the second PDF, and pages 8 through 10 from the third PDF to create a new, six-page PDF document. If you only have a single PDF in this list and select specific pages here, you can create a new PDF that contains only the specified pages from the original. However, the Visual document composer plugin is an easier, visual way to extract individual pages (see below for more information on that plugin). The Split plugin allows you to split PDFs into smaller files. After you add a PDF using the Add button, there are a number of options you can choose. For example, Burst splits the PDF into single-page PDF files. If you want to split a PDF document into two at a specific point, you can use the Split after these pages option and enter the page number where you want the split to occur. If you’d like to rearrange a PDF’s pages – perhaps they were scanned in the wrong order – you can easily do that with the Visual reorder plugin. Open a PDF on the Visual reorder pane and you’ll see preview thumbnails of its pages. You can drag and drop these files to rearrange them and use the Rotate and Delete buttons to rotate or delete individual pages. Like with the other plugins, use the Run button to create a new PDF file after making your changes. The Visual document composer plugin works similarly to the Visual reorder plugin, but it allows you to open multiple PDF files. Previews of each PDF files’ pages will appear in the pane at the top of the window, and you can drag and drop them to the middle pane to create a new PDF file that incorporates pages from multiple PDF files. The Rotate plugin is self-explanatory. It allows you to easily rotate pages in a PDF file, selecting a precise rotation and choosing the pages that will be rotated. You can even rotate multiple PDF files at once. This plugin may seem underwhelming, but you’ll appreciate it if you have PDF files that need to be rotated. The Alternate Mix plugin is another plugin that will only come in handy in specific situations. If you have one PDF file containing all the even pages of a document and one PDF file containing all the odd pages of a document, the Alternate Mix pages will combine the two PDFs, alternating pages and putting them in the correct order. PDFSam is a life saver if you need to quickly and easily perform these kinds of PDF operations, which is why it’s one of the applications on our Best Windows Software page. If you’re ever looking for the best application to use for any purpose, skip Google and check our Best Of pages, where we’ve done the hard work of finding the best applications for every platform for you. For example, we’ve got a list of the best PDF readers for Windows The 6 Best PDF Readers for Windows in 2019 The 6 Best PDF Readers for Windows in 2019 The best PDF readers don't cost any money. Read our roundup of feature-rich PDF viewers that out perform even Adobe Reader. Read More . You may also be interested in reducing the size of a PDF file How to Compress a PDF, Reduce the File Size, and Make It Smaller How to Compress a PDF, Reduce the File Size, and Make It Smaller This guide covers how to make a PDF smaller using simple programs and tools. Read More or using OCR to convert scanned documents back into editable text The 3 Best Free OCR Tools to Convert Your Files Back Into Editable Documents The 3 Best Free OCR Tools to Convert Your Files Back Into Editable Documents Optical Character Recognition (OCR) software turns printed documents into machine-readable text. 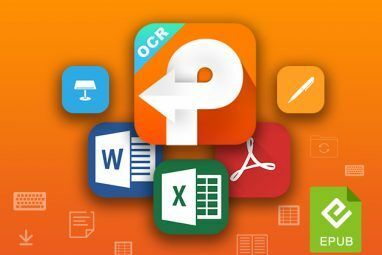 Here we show you the best free OCR tools and how they work. Read More . Have you used PDFSam before? Or do you prefer another application for this purpose? Leave a comment and share your knowledge! Ok, since you are moderating my message, I already know it won't show up, because people like you only pass on lies. So what I'm going to do to help that out, is to post the same message on MY 300,000+ view BLOG and YOUTUBE channel so the truth can be spread instead of more BS. When you say something is free, it should be free. The PROGRAM is free to download, but if you want to actually do anything besides view, break apart or put together the .pdf, you have to buy the "ADD-ON". I wanted to rearrange the pages in a document that was printed on both sides and out of order. $30.00 to do that. Thanks for nothing. I'm still where I was before I wasted time and precious hard drive space. This doesn't do anything more than basic Adobe does free. I'm sick of bogusf "reviews" of software that boasts all it does for FREE and then you download it only to find you have to PAY to actually get it to do what it claims! This program is nothing more than an EMAIL HARVESTER! Works well; thanks for the tips on using this package - especially about the need to download Java. Creates a much smaller file when merging multiple pdfs than pdfArchitect (another free package for basic editing). I use PDFill Free tool. It includes much more features like adding page numbering, creating PDF from image files, metadata support, scan support and more. It also does not require Java but does have dependency on Ghostscript which is free as well. Since it's free, it's great. add a pdf document as front page or addendum (or both) to your pdf documents. mix alternate pages taken from two pdf documents in straight or reverse order into a single document. extract attached files from a pdf document. set viewer options to tell the viewer application how should open the document. Enhanced version has no fixed price.. The source code is available for download therefore you can compile it and use it. With a single donation of any amount (1$, 10$, 100$… as much as you wish) you’ll gain unlimited access to compiled code, win32 installer plus the access to the support forums and to the features request section. Ah, neat, I never noticed that. Use it all the time - very stable, and it does what you need it to do. Brilliant little program. Love it just by reading about it. Am downloading now but hope there are no dependencies like .net framework, Java, etc. It does use Java, which I don't really like. But at least you can disable the Java plugin in your browser. I am having problems with the Visual Document Composer in PDF Split and Merge Basic Ver 2.2.2 not rendering text in some of the pages of a given PDF document. Only grey scale rectangular shapes appear on the PDF page where the text resides. Has anyone run into similar problems? If yes, is there a fix out there?